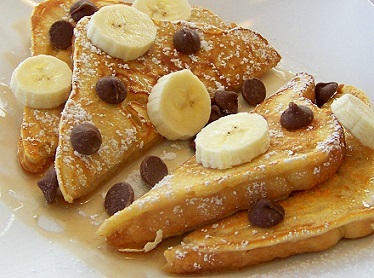 This is an Easy French Toast Recipe that my grand-daughter eats every time she visits the restaurant. But she is not alone. This French Toast "sells like hotcakes!" It is a favorite restaurant breakfast recipe. I have a recipe for larger parties on this page and the same recipe for fewer people (scaled down) so you won't have to break it down on your own. 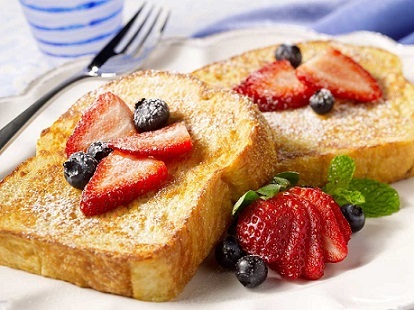 No one knows for sure where the recipe(s) for French Toast originated but similar dishes have existed in many countries and under many names for many years. 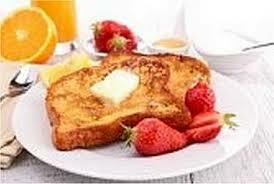 Enjoy your French Toast Recipe and all the restaurant recipes on the website. "What else can I do? I can make the best French toast."